What is the Cancellation Policy (if booked/paid)? Cancellations will be refunded in full so long as 24hrs notice is given. Do you accept walk in bookings in-store? Of course, get down to the shop, we are right by the beach, we’ll get you everything you need to get out there in the water. Subject to availability, but we have tonnes of boards! Can I call & book/pay over phone? Want to book over the phone? Call us on 02 9976 0591 to make a booking with one of the team. A credit card payment will be taken over the phone and you’ll be locked in ready to get out there. Yes, we require deposit on all hire equipment. This can be an ID (drivers license, passport), credit card, phone, or keys. Something you are going to come back for. Do you have somewhere I can leave my bag and get changed? Yes we do. We have lockers and a changing room which is just $5 per person to use if you are renting gear. If you aren’t renting any equipment the lockers and use of facilities is $10 for the whole day. To grab a wetsuit with your board (of any kind) or snorkelling gear, there is a flat rate for the whole time you are out there. For a steamer (full length) it’s $10, and for a spring suit (short arms and legs) it’s $5. For the rates of wetsuits on their own, see the prices page. What equipment is provided with Snorkelling Hire? With our snorkelling hire you get mask and snorkel plus free flipper hire. Wetsuits aren’t included, but for an extra $5 you can jump in a spring suit (short arms, short legs) for the whole time you’re out there exploring Shelly Beach and the surrounding reef. 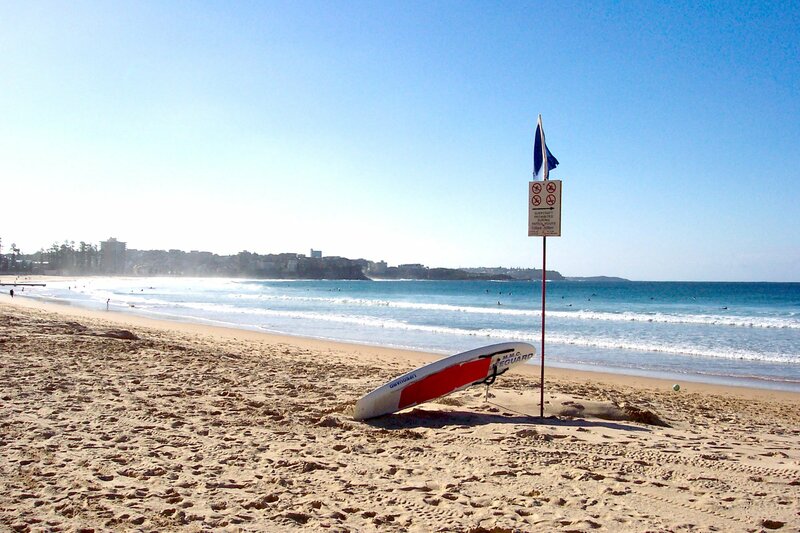 Where is the best place to surf along the beach? The best spot to surf depends on the day. Get down to the shop, we are right on the beach, check out the waves for yourself, or jump on our surf cam for the live feed. On a south swell (the predominant swell direction) the south end will be smaller than the rest of the beach, so you can pick waves to suit your level. However there is usually a good wave right opposite the shop! Are there rocks at Manly Beach? 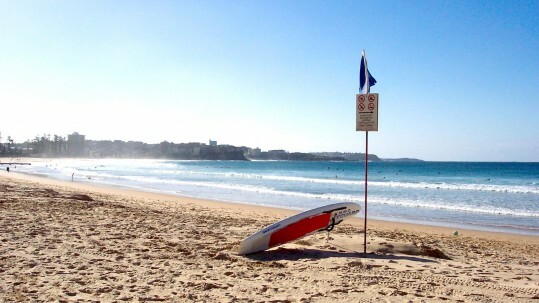 There are rocks clearly visible at both ends of Manly Beach. There are no rocks along the beach. There is however a pipe that sticks out in the water around the middle of the beach. The pipe is visible at low tide and may be covered at high tide. 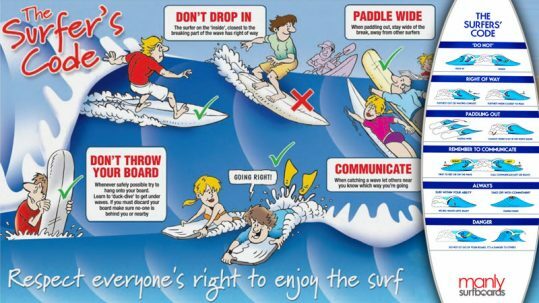 Care should be taken not to surf into the pipe and also wave action can push unwary surfers and swimmers into the pipe. The pipe is to be avoided. Any others questions don’t hesitate to get in contact with us on 02 9976 0591 or fill in the Contact Form and a member of our helpful team will help you with your specific enquiry.